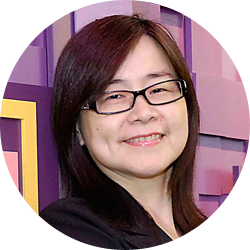 Joy Chan is the Deputy CEO at Taiwan Network and Information Center (TWNIC), her responsibility includes heading TWCERT/CC. 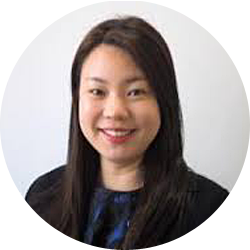 Prior to this post, Joy was the Deputy Director General at CyberTrust Technology Institute of Institute For Information Industry (III), she has researched in IIoT end point security and device identity. She was the PI for National Cyber Security Flagship project. Joy had leading the research and development work for Yahoo! Products and services, she also spearheads innovation programs, Joy was the Head of Service Engineering for APAC and CTO for Yahoo! at Taiwan, where she was responsible for the service resilience and scalable system operations. Joy is an experienced executive with extensive service experience with many large firms in the U.S. including IBM and Dow Jones. Her expertise lies in both software development and systems operation. Joy has prior worked at the National Center for High Performance and was also appointed to be at the National Science Council to review and allocate the science and technology budget for central government research organizations. Joyce joined ICANN staff on February 2016. She currently serves the organization as GSE Strategy and Development Senior Manager in the APAC Hub. Her main focus will be in deepening ICANN's engagement within Southeast Asia and other countries in APAC. She previously worked in Singapore Institute of Technology for Corporate Communications as well as Strategic Planning. Joyce has experience in corporate development strategies and media relations. Joyce was also a young diplomat with Singapore's Ministry of Foreign Affairs upon graduating from National University of Singapore. She handled the ASEAN portfolio while in the Foreign Affairs. An avid traveller, Joyce loves nature and culture. She enjoys singing, picking up languages and reading. Edmon Chung is serving as the CEO for DotAsia Organisation and heads the secretariat for the Asia Pacific Regional Internet Governance Forum (APrIGF). Edmon serves also on the board of the Internet Governance Forum Support Association (IGFSA) and as vice-chair of the Universal Acceptance Steering Group (UASG), and on the Executive Committee of Internet Society Hong Kong, which serves as the secretariat for the Asia Pacific Regional At-Large Organisation (APRALO) and participates extensively on Internet governance issues. Edmon is an inventor of patents underlying technologies for internationalized domain names (IDN) and email addresses on the Internet. Edmon has served on many global IDN related committees, including technical and policy groups, that made it possible for the introduction of multilingual domain names and email addresses on the Internet. 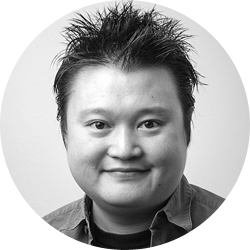 Edmon won the Most Innovative Award in the Chinese Canadian Entrepreneurship Award in 2001. In 2000, Edmon was selected by The Globe and Mail as one of the Young Canadian Leaders. 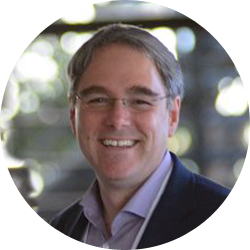 Between 2006 and 2010, Edmon served as an elected member on the ICANN GNSO Council. Between 2010 and 2012, Edmon served as an elected member on the ICANN At-Large Advisory Committee (ALAC) from the Asia Pacific Region. Between 2006 and 2011, Edmon served as an elected member of the Elections Committee of the Hong Kong Special Administrative Region in the Information Technology Subsection. Dr. Kenny Huang is the leading figure of the Internet communities in Asia. Since the early years of Taiwan’s Internet development, he contributed a great deal to build up a better Internet environment in Taiwan. Because of his tremendous knowledge and experience, he has been invited to take up leading roles in many Internet technology and policy organizations, including APNIC Executive Council member, APNIC Policy SIG Chair, NRO Number Council member, PIR Board member (.org), TWNIC Board member, TWNIC International Affair Committee Chair, Advisor of .taipei Registry, dot Asia Advisory Council, ICANN New gTLD Review Committee, APAN TW founder, ISOC Taipei founder, TWIA advisor. Dr. Huang’s contributions have been acknowledged especially in the development of Internet technology. 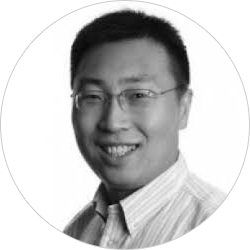 Dr. Kenny Huang is the co-author of IETF RFC3743; co-chair of CGP (LGR for the Root zone); Co-Chair of JET; Advisor of CDNC. Dr. Huang is working closely with government agencies in developing technology policies. 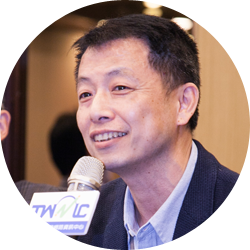 He is Taiwan e-Government Committee member, Taiwan Government & IT Transform Committee member, MOTC (Ministry of Transportation and Communications) project leader and advisor on IPv6 policy and broadband policy. He is also the .taipei registry advisor for the Taipei Government. With over 13 years’ experience in the information Security area, good at Security Design and System integration , has a lot of project experience about security system design, implement and integration with enterprise application including cross-platform Operation System, VM, Database and networking. 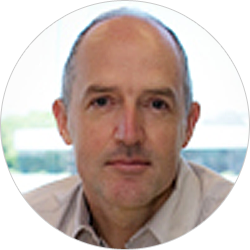 Geoff Huston is the Chief Scientist at the Asia Pacific Network Information Centre (APNIC), where he undertakes research on topics associated with Internet infrastructure, IP technologies, and address distribution policies. 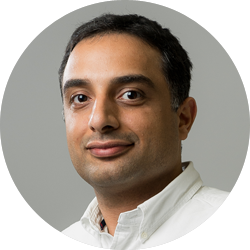 His research interests include IPv6, large scale measurement, security, the Domain name System, Routing and protocol architecture. He has written a number of books and authored numerous papers on the technical foundations of the Internet. 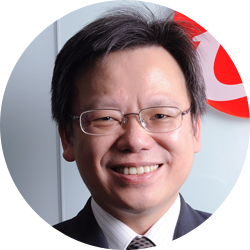 Bob Hung is the General Manager for Trend Micro Hong Kong and Taiwan. 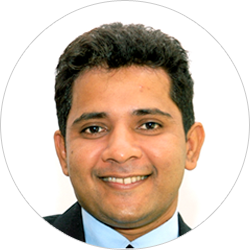 He joined Trend Micro in 2000 with an engineering background, but now leads the sales and marketing teams in both countries with over 15 years of experience. Bob has had numerous successes in promoting Trend Micro cloud security solutions to corporate and consumer clients alike. Under Bob’s guidance, Trend Micro is now the leader in cloud security, creating a win-win situation for both Trend Micro and its customers. David studied immunology, ecology, and the history of Rome in university, where he also audited CDC OS and the course of Constitution lectured by some master of the field. Out of curiosity, the flipped through the game theory, and happened to find it interesting and useful. His educational background is not impressive, though. He then became a journalist, a businessman, and a person who flew around the world. After working at three companies, he then established three companies of his own. His work experience is not impressive either, though. Having devoting 30 years to Information Technology industry, dedicating 20 years to Internet industry, and 18 of the years to domain name field, he considered himself a person without impressive expertise. David is just an ordinary netizen. 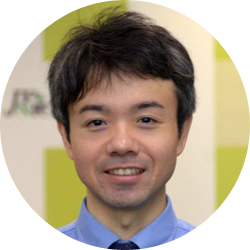 Taiji Kimura is a researcher in Japan Network Information Center (JPNIC). Taiji has been involved with building/operating PKI and researching on information security in JPNIC since 2002. He enjoys everything from system design to customer support. His current focus is on trust mechanism on Internet. Thomas Kuiper is originally from Germany and is the founder and General manager of Gandi's Asia business unit in Taipei. Since its launch in Asia, Gandi (www.gandi.net) added Chinese and Japanese support to its website and has supported the developer community in the region. Before he started Gandi in Asia he was a project manager at MiTAC International Corp. (神達電腦股份有限公司) for mobile medial devices. When he first came to Taiwan 13 years ago he worked in the Hsinchu Science Park on embedded systems such as DSL routers. Alban Kwan is the country manager for CSC® based in the Hong Kong office. He has been with CSC's Digital Brand Services business and affiliated companies since 2009, and leads the team responsible for all key accounts within the China, Hong Kong, Taiwan, Korea, and Japan markets. Alban has developed a deep understanding of online brand protection, digital assets management, and cyber security, specifically for the Asia-Pacific region, and he advises top global and local companies. 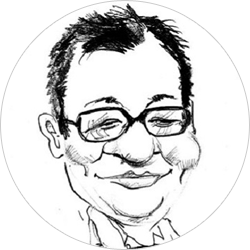 Alban frequently engages with local policy makers and is often invited to speak at conferences, where he shares his invaluable insight on brand protection, security, and local policies affecting businesses. Alban has both a bachelor's and a master's degree in Management from Monash University in Australia. Dr. Lee received his B.S. degree in Electrical Engineering from the National Taiwan University in 1971, and the M.S. and Ph. D. degrees in Computer Science from the University of Illinois at Urbana-Champaign in 1976 and 1978 respectively. Dr. Lee has been with the Institute of Information Science, Academia Sinica, Taiwan, where he is a Distinguished Research Fellow since July 1, 1998 and Director from July 1, 1998 to September 15, 2008. He was President and Chair Professor of Computer Science and Engineering, of National Chung Hsing University, Taichung, Taiwan from Aug. 2011 to July 2015. Prior to joining the Institute of Information Science, he was a Professor of the Department of Electrical Engineering and Computer Science, Northwestern University, where he has worked since 1978. He is also a Distinguished Research Chair Professor of Computer Science in the Dept. of Computer Science and Information Engineering, and the Graduate Institute of Electronics Engineering, National Taiwan University; Chair Professor of National Taiwan University of Science and Technology and of National Chung-Hsing University. He has a joint appointment with the Research Center for Information Technology Innovation, Academia Sinica. Dr. Lee was President of IICM (2002~2006), Executive Director of the Taiwan Information Security Center (TWISC), Research Center for Information Technology Innovation, Academia Sinica (2007-2011), Deputy Program Director of the Taiwan e-Learning and Digital Archives Program, sponsored by the National Science Council, Taiwan (2006-2012), Chair of CODATA-Taiwan (2007-2012), and currently President of Association for Algorithms and Computation Theory (AACT), Taiwan and an Executive Committee Member, CODATA, International Council for Science (ICSU) (2012-). His research interests include design and analysis of algorithms, computational geometry, VLSI layout, web-based computing, algorithm visualization, information security, bio-informatics, and digital libraries. He has published over 150 technical articles in scientific journals and conference proceedings, and he also holds three U.S. patents, and one R.O.C patent. He is Editor of Algorithmica, International J. of Information and Computer Security, LNCS Transactions on Computational Science, Co-Editor-in-Chief of Int''l Journal of Computational Geometry & Applications, and Series Editor of Lecture Notes Series on Computing for World Scientific Publishing Co., Singapore. He is Fellow of IEEE (1992), Fellow of ACM (1997), Academician of Academia Sinica (2004), a Recipient of the Humboldt Research Award (2007), an elected Member of The World Academy of Sciences (TWAS) (2008) and the Ambassador Scientist in Taiwan of the Alexander von Humboldt Foundation, Germany (2010-16). Recently he received the German-Taiwanese Friendship Medal (2014) from the Deutsches Institut Taipei, the Illini Comeback Guest Award (2014), Distinguished Alumni Educator Award (2014) from the Computer Science Dept., and Distinguished Alumni Award (2017) from the College of Engineering, University of Illinois at Urbana-Champaign, IL. Howard, in addition to the typical relationship and project work the Services Team carries, will enhance's outreach to registrars and applicants in Asia. He will also step in as the team representative on the AROS and Thick Whois projects being led by others within the organization. Howard has traveled in circles for nearly a decade, much of that time at CN. He has founded/co-founded two -accredited registrars. 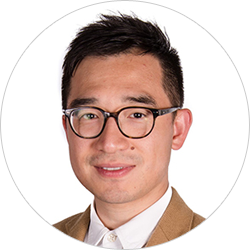 Alongside these, Howard has been in leadership roles at .asia and he is fluent in Mandarin, Cantonese, and English and has obtained both his BA and MS degrees in the United States. 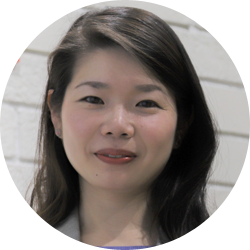 MAEMURA Akinori (surname, first name, 前村 昌紀) is currently General Manager of Internet Development Department at JPNIC - Japan Network Information Center, the not-for-profit Internet promotion body and National Internet Registry for Japan. Maemura started his career for the Internet when he joined the project to launch an Internet Service Provider business in NEC Corporation (which is now known as BIGLOBE) in 1994 after his engagement in network engineering for X.25 packet switching services. 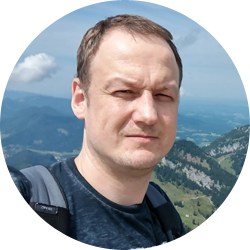 His original expertise was network engineering focusing on architecture design, internal routing, BGP routing, peering coordination, interconnection and IPv6. 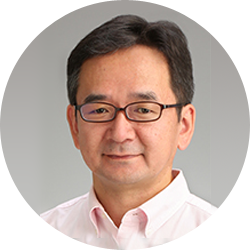 He was active in the coordination among other ISPs in the emerging commercial Internet in Japan and came to be involved in the Internet Coordination like Network Operators Group and IP Numbers Management in 1997. He was involved in launching JANOG – Japan Network Operators Group as a founding Steering Committee member and joined IP Address Working Group of JPNIC which was for policy development of its IP address management. He moved from NEC Corporation to France Telecom Group in 2000. His involvement in the Internet Coordination simply kept increasing and spread out to the region with his involvement in the APNIC Executive Council. He was elected to the Executive Council of APNIC in 2000, then elected as the Chair of it in 2003. He was seated in the Chair position until February 2016, with an additional role as APNIC EC observer to NRO EC (Executive Council of Number Resource Organization) since 2010. For more than a decade, he was directly involved in the governance and strategy of the Internet Registry, representing APNIC membership and broader community which are very diverse. For JPNIC, he was appointed as a Trustee of JPNIC in 2002, with the assignment in charge for IP Address Business. He was responsible for the entire National Internet Registry business at JPNIC covering the registry engineering and operation, documentation and facilitating the open policy forum including the initial formation of it. With his experience through JPNIC IP Department and APNIC Executive Council, he holds the comprehensive knowledge and expertise for IP Numbers Management. In France Telecom Group, he took positions of IP Engineering in Japan, IP Product Management for Asia and R&D at Tokyo Labs from 2000 until 2006. In 2007, he decided to join JPNIC as an employee to devote in the Internet Coordination and continued the responsible position for NIR business as General Manager of IP Department until he moved to the current position in 2009. The department he has been leading in JPNIC since 2009 covers a wide range of activities for the coordination and promotion of the Internet Infrastructure, including research on the Internet policies and technologies, events, communications and the oversight role of .jp ccTLD. Among them, he is directly involved in Policy Research for Domain Names and Internet Governance. He is a regular participant in ICANN meetings since 2009 as a member of the ISPCP constituency of the GNSO and keeping track of the discussion in ICANN. Based on the knowledge by research and participation, his department disseminates various information on ICANN and the domain name policies including major outcomes of every ICANN meetings, ICANN Board resolutions, policies adopted by ICANN, through JPNIC website, organized events, online magazines and publications to serve the Japanese Community. Further, the department facilitates Internet Governance Conference Japan (IGCJ) to engage Japanese Community to the discussion on the Internet Governance, where he serves as the Head of Secretariat. Akinori was selected by the ASO to serve on the Board. His term will expire at the Annual General Meeting 2019. Head of Business Affairs, Registry Services, Neustar. 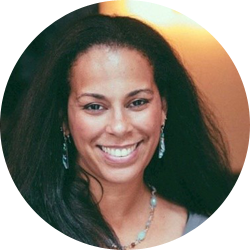 Crystal Peterson is Senior Director of Global Registry Services for Neustar, one of the world’s largest registry services providers, with nearly 250 top-level domain extensions (TLDs) under management. Crystal is responsible for the operation, management, growth and development of many of the world’s most prominent TLDs, including .CO, .US, .biz and .nyc, among many others. With deep expertise in the domain industry, Crystal both guides the sales and marketing strategies for Neustar’s TLDs, through integration, strategic planning and competitive global environmental analysis, while at the same time advancing the company’s policy and compliance efforts in support of a safe and secure internet. Amongst her many roles prior to her position at Neustar, Crystal handled the Global Sales and Channel Marketing for the .CO domain, launching and growing the TLD to over 1 million domains under management in less than a year, with currently more than 2 million domains in use from registrants worldwide. She was also the Marketing & Communications Manager for Public Interest Registry, which manages the .ORG Top-Level Domain; and the Marketing Manager for dotMobi, assisting in its launch to be available for registration to the general public. As with most successful professionals, there is more than meets the eye with Crystal. Along with a wealth of experience in marketing and administration, Crystal has performed with multiple professional dance organizations across the United States and has served the community by assisting individuals with developmental disabilities. A cornerstone of the Neustar Registry Team, Crystal continues to push the company to new heights, one domain name at a time. Expertise: DNS, Internet measurements, IPv4, IPv6, resource and routing registry databases, BGP, Internet development, IXPs, big data and data visualisation. Kaveh Ranjbar is the RIPE NCC's Chief Information Officer. He is responsible for the planning, operation and development of the RIPE NCC's global information services as well as its research and development activities. This includes the RIPE NCC's authoritative DNS services and K-root name server infrastructure, data collection and measurement networks such as RIPE Atlas and the Routing Information Service, data provisioning systems such as RIPEstat, and the RIPE NCC's data analysis efforts. Kaveh has been with the RIPE NCC since 2008. Prior to that, he worked for more than 12 years in the Internet services and ISP sectors, mainly in senior technical management positions. He was the engineering founder of one of the largest Iranian ISPs and helped several IT start-ups with software and business process implementations. Kaveh received a M.Sc. in Software Engineering from the University of Oxford and has completed Lean Engineering and Agile Management training at MIT. 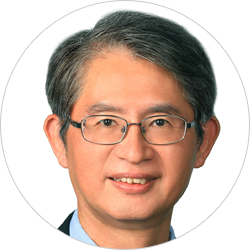 Professor Ming-Yan Shieh is a leading expert who has devoted substantial scholarly effort in the field of intellectual property law in Taiwan. He received his Bachelor of Laws degree and Master of Laws degree from National Taiwan University College of Law before earning his Doctor of Laws (Dr. jur.) degree at the Ludwig Maximilian University of Munich in 1990. In the same year Professor Shieh joined the law faculty of his alma mater in Taiwan and has served as a Professor of Law since then. From August 2012 to July 2015 Professor Shieh served as Dean of College of Law at National Taiwan University. 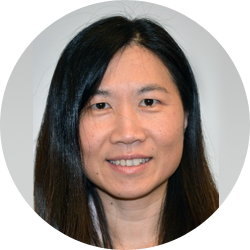 Professor Shieh’s research interests include intellectual property law, fair trade law, internet law and civil law. So far Professor Shieh has published ten books. More than a hundred of his articles have appeared in numerous leading law journals. 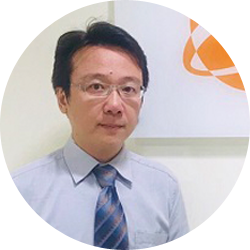 As a legal activist committed to the development of Taiwan's intellectual property law, Professor Shieh has actively engaged in the formulation of policy and legislation of intellectual property law in Taiwan. Over the past few years several intellectual property law amendments in Taiwan were taken place under Professor Shieh's initiatives. 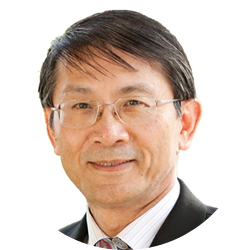 Dr. Henry Tsai is currently a high court judge at the Taiwan Intellectual Property Court. Before being appointed to the Taiwan Intellectual Property Court, he was a District Court judge for 15 years, and adjudicated different kinds of general Criminal and Civil cases. Judge Tsai holds Master of Laws in Public Law from Soochow University in Taiwan and LL.M with honors from the John Marshall Law School in the U.S. He obtained his J.S.D degree from the Technology Law Institute of National Chiao-Tung University in Taiwan. 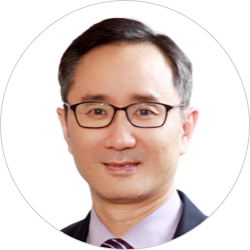 Judge Tsai has comprehensive interests in many legal fields and one of his expertise is in the Internet Governance. His research J.S.D dissertation is entitled: "The Internet Governance on Domain Name Legal System and Its Operation". He also wrote lots of articles in periodicals and newspapers. One article related to Internet Governance is "The Trademark/ Domain Name Protection War: A Comparative study of the U.S., UDRP and Taiwanese Law" which was published in the John Marshall Review of Intellectual Property Law (winter 2012), and cited by periodical, book and paper in different regions. Judge Tsai now is also invited to teach "Digital economic and Informational/ Communicational Law" at the Technology Law Instititue of National Chiao-Tung University as an adjunct professor. Yukako Uchida is the Leader of Global Coordination Division at Japan Computer Emergency Response Team Coordination Center (JPCERT/CC). 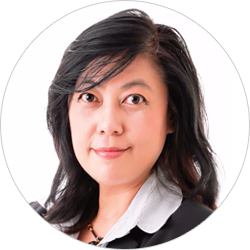 She is responsible for international collaboration activities with overseas Cyber Security Incident Response Teams (CSIRTs), mainly in the Asia Pacific region. She acts as the point of contact for Asia Pacific Computer Emergency Response Team (APCERT), for which JPCERT/CC serves as the Secretariat, and is in charge of administrative duties. She also contributes to JPCERT/CC’s English Blog both as an author and a translator, which provides updates about its latest international activities, cyber security trends and technical observations (https://blogs.jpcert.or.jp/). 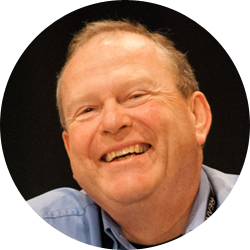 Paul Wilson has nearly 30 years’ involvement with the Internet, including 20 years as the Director General of APNIC, the Regional Internet address Registry for the Asia Pacific. In this role, he has led APNIC’s development as a provider of critical Internet services and as a key contributor to Internet growth and development throughout the Asia Pacific. Paul has worked as an expert and leader across the full range of communities and organizations involved in Internet development, including ISPs and network operators, non-profit organizations, governments and governmental agencies; and with many key organizations including RIRs, the IETF, ICANN, ISOC, APEC-TEL, the ITU and others. 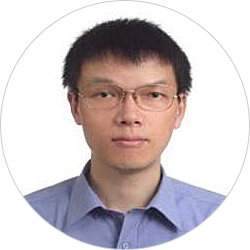 Yen-Chieh Wang joined Chunghwa Telecom Data Communications Business Group(HiNet, AS3462) since 2009 and is the member of TWNOG. 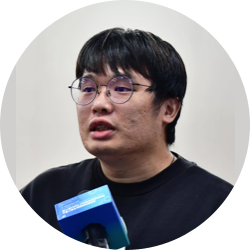 Currently, he is the senior IP operations engineer, responsible for the maintenance of HiNet international backbone network and Taiwan Internet Exchange service(TWIX). In the past few years, he has been dedicated himself to the development of TWIX and the improvement of backbone security such as the issues of RPKI , DDoS traffic mitigation, Routes Hijacking detection, and ect. He has excellent ISP backbone maintenance experience and the domain knowledge of IPv4 and IPv6 related affairs including peering negotiation, dual-stack network operation and network security. He is delighted to share his experience and interests of the IP network operation with people to promote the Internet development. The speakers are listed in the alphabetical order by last name.